Expertise and speed in wind power testing across an industry-leading international footprint provides a competitive advantage to manufacturers looking to broaden product reach by accessing global markets. 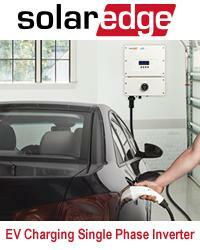 03/25/14, 01:03 PM | Solar & Wind | Carmanah Technologies Inc.
SOL will become a wholly-owned subsidiary of Carmanah. The company is planning to open new facilities in Texas; North Carolina; Georgia; Colorado and Washington. SEIA board members represent the general membership on issues critical to the industry. Baker Electric Solar invites Inland Empire homeowners to a complimentary solar open house on Saturday, March 29, 2014 in Temecula, California. Attendees will tour a live 8.5 kW residential solar energy system. The company already holds the world record of 12% cell efficiency for opaque (non-transparent) organic solar cells.